Experience a new level of relaxation with our premium mattresses in the Bliss range. It’s state of the art Pocket Spring system allows the independently encased springs to conform to each person’s contours and insulate both partners, preventing roll together and disturbance. Visco elastic temperature sensitive technology offers space age comfort by evenly distributing body pressure. 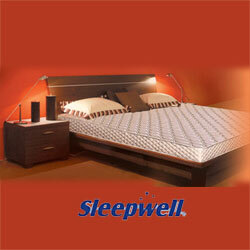 100% natural latex foam range of mattresses.